Over 100,000 of your fellow Porsche owners already have. 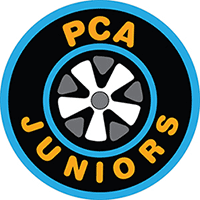 For over 60+ years, the Porsche Club of America (PCA) has been dedicated to enhancing the Porsche ownership experience. Social, technical or competitive – no matter your interest, the PCA has something to offer every Porsche owner. 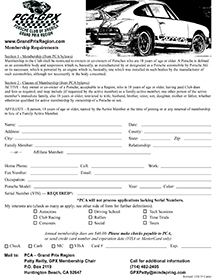 Membership dues are payable in U.S. funds by check, money order, Visa, MasterCard or American Express. 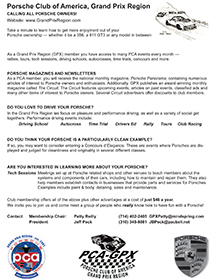 The fee includes our monthly Porsche Panorama magazine (www.pca.org/panorama), the world’s premier publication dedicated to Porsches. We know the unbridled joy that a Porsche can provide, and we’ve built a community around that very feeling. The Porsche Club of America offers driving experience, technical assistance, member benefits, and camaraderie second to none. Over the years, our club has grown to 141 Regions across North America. 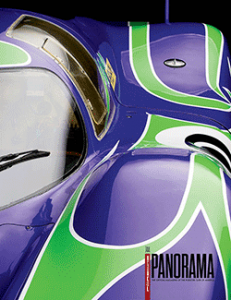 Guaranteed, there is a PCA Region near you, filled with friendly Porsche fanatics. Ready to Join Porsche Club of America?